The black-eyed Susan vine (Thunbergia elata) is an easy-to-grow annual flowering vine that has arrow-shaped leaves and delicate orange blooms with black centers. Black-eyed Susans can be grown outdoors during the summertime or in hanging baskets to allow the vines to trail over the planter and cascade down. When you grow black-eyed Susan vines indoors, you can plant them earlier and enjoy a longer blooming season, due to the ability to control air temperatures. You can either plant nursery-raised black-eyed Susan vines or grow them from seeds. 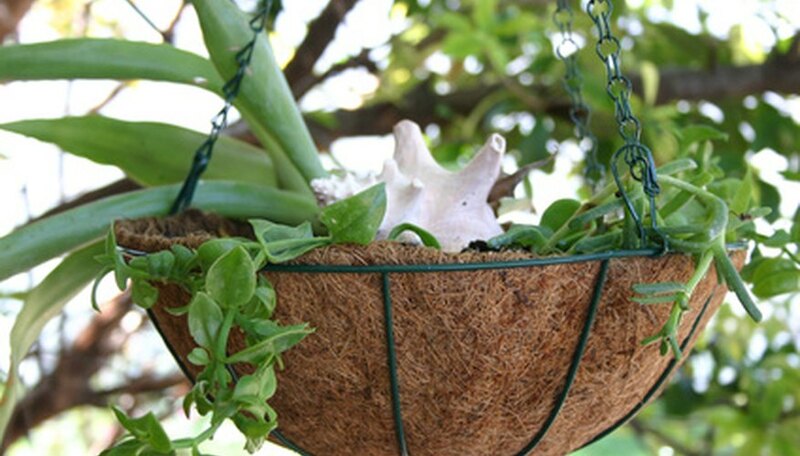 Fill a 12-inch wide hanging basket planter with all-purpose commercial potting soil. Ensure that the hanging planter allows for drainage from the bottom. Plant the black-eyed Susan vine into the hanging basket at the same depth as it was planted in the nursery container. Water the vine thoroughly to saturate the soil until the water drains freely from the bottom of the planter. Hang the basket in a sunny window that receives bright, indirect sunlight. Don’t place the vine in hot, direct sun. 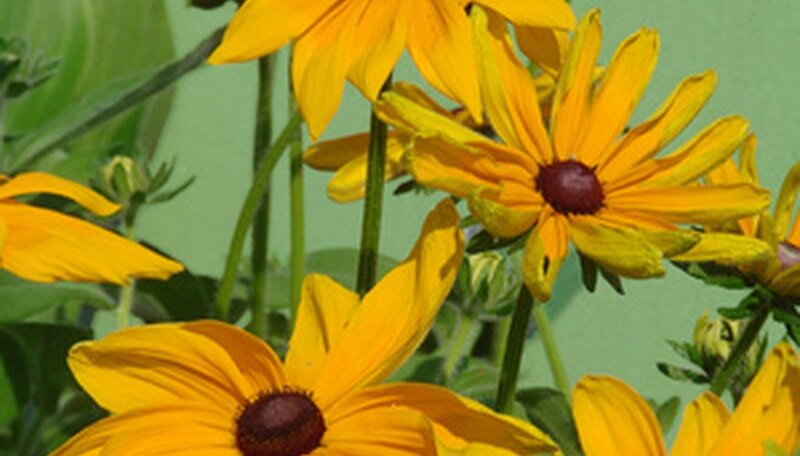 Water your black-eyed Susan once or twice a week during the growing season, when the soil feels slightly dry. Water the vine thoroughly until the water drains from the bottom of the basket. Feed your black-eyed Susan vines once each week during the growing season with a balanced flower fertilizer. Follow the dosage instructions on the fertilizer package. You can grow black-eyed Susan vines easily from seeds by planting the seeds directly into the hanging basket. Plant the seeds about 1/4 inch deep into the all-purpose potting soil. Keep the soil moist at all times while the seeds are germinating and maintain a soil temperature of about 72 degrees Fahrenheit. Don't over-water your black-eyed Susan vines. If the soil feels damp to the touch, wait another day or two to water the plant again. Also, don't allow the soil to dry out completely. Avoid transplanting your black-eyed Susan vines if possible because their roots are very sensitive to any disturbances.